At the Alamo Drafthouse’s showing of Mission: Impossible – Fallout, I made sure to order a solid microbrew before the film started, something with a lot of kick and a high alcohol percentage. Once we were underway, I put up an order card to make sure another would soon be on its way. The reason for this? Besides the obvious quality in beer available, it is that I don’t particularly care for heights — just watching the trailer for the latest entry a few weeks ago had my stomach rolling and my armrests firmly gripped. 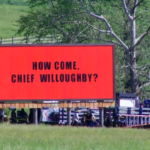 As expected, the movie is a well written, well acted, beautifully filmed anxiety attack that lasts about two solid hours and is more or less the reason we go to the theater in the first place. 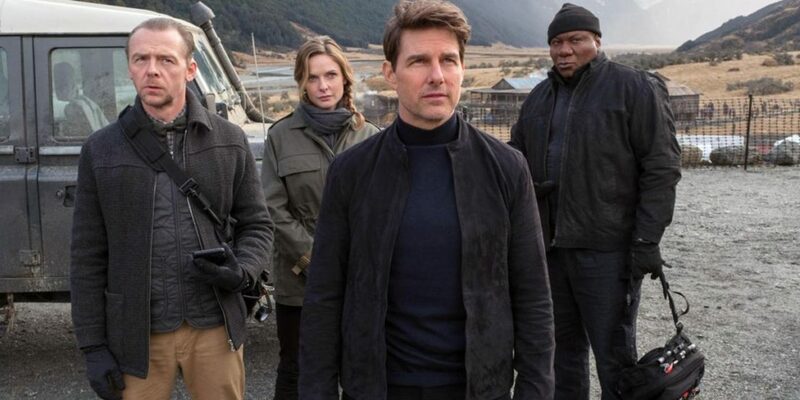 Very few franchises have ever had a track record like the Mission: Impossible one that struggled to find an identity in its first three entries, even with an impressive resume of talented directors in Brian DePalma, John Woo, and a new-to-film-at-the-time JJ Abrams. 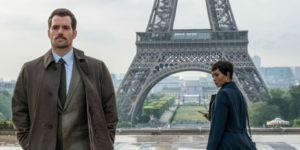 Brad Bird, of The Incredibles fame, seemed to find the right tone in Ghost Protocol but it was the entrance of one of my personal favorite writer/directors in Christopher McQuarrie in which the franchise seems to have found its muse. Tom Cruise, likely to the chagrin of every studio that has tried to insure him, once again returns in order to perform every insane stunt that he can — and the effect that he’s going for, to show to the audience that he’s really there, really doing everything from flying a helicopter to HALO jumping out of an airplane, is kind of lost to the fact that CGI has reached a point that is so convincing it would have been impossible to tell the difference. Danny Trejo, also known as Machete, once put it best: “I know that all the big stars hate me to say this, but I don’t want to risk 80 peoples’ jobs just to say I got big huevos on The Tonight Show. Because that’s what happens. I think a big star just sprained an ankle doing a stunt, and 80 or 180 people are out of a job… We have stunt people who do that stuff. And if they get hurt, I’m sorry to say but they just need to put a mustache on another Mexican and we can keep going. But if I get hurt, everybody’s out of a job. So I don’t choose to do that.” Cruise clearly doesn’t subscribe to this way of thinking and either has some kind of death wish or actual Scientology superpowers. Probably the death wish thing, though. Either way it is undeniably impressive that the 56 year old actor continues to challenge himself in his commitment to the craft, even if one day his attempt to dangle by his toes off the wing of an F-22 going Mach 3 is probably going to be one stunt too far. What’s more impressive, visually, was how forced perspective and trick photography managed to make the 5′ 7″ actor somehow occupy the same frame as the 6’1″ Henry Cavill. Speaking of whom, Cavill is a nice addition to the recurring crew, however, despite using his size and dashing good looks to great effect, what’s missing is the charm and humor that surprised so well in the criminally overlooked The Man from U.N.C.L.E. Despite listless and banal performances as the Man of Steel, Cavill, in fact, has a personality and a sharp wit, and it’s a tragedy he isn’t asked to use it often enough. 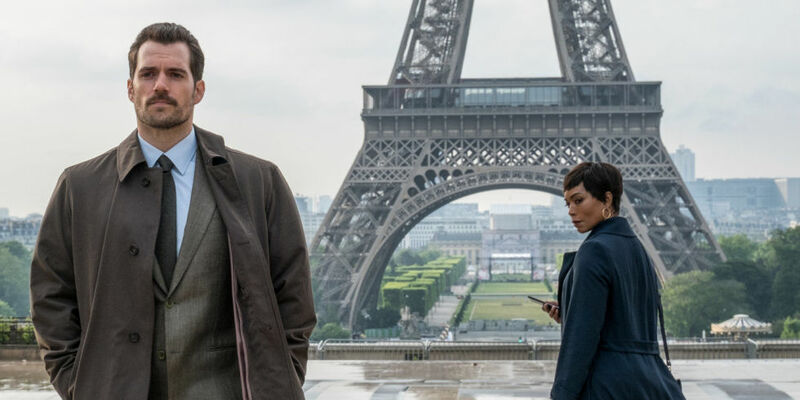 The rest of the cast, from Ving Rhames to Simon Pegg to Rebecca Ferguson all hit their intended notes, but the real focus of the film, aside from its star, is the plot and the action sequences. In all honesty, there weren’t really any twists or turns that are hard to anticipate or at least feel coming thanks to an effective combination of dialogue and inserts, but that’s in no way a complaint. For the most part, they all feel earned and plausible, and a lot of the time, pretty damn fun — which is the whole point in the first place. Mission: Impossible – Fallout succeeds in exactly what it sets out to do, which is entertain. 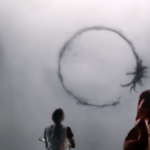 Although tentpole franchises abound in the film landscape of late, there aren’t many that continue to challenge itself the way this one does. Spectre is a good example of this; While the Bond Franchise is one of the oldest and most established, the latest entry failed to bring anything new to the table, recycling old villains along with the tone and aesthetic of the Sean Connery/early Roger Moore era films. 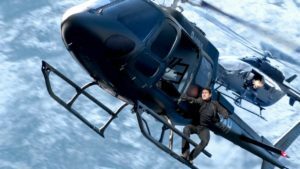 In Rogue Nation and the follow up Fallout, writer/director Chris McQuarrie eschews style and fashion and fancy cars in favor of breakneck pacing and brutal violence that would be otherwise difficult to watch if the characters weren’t fictional and somehow able to get up and walk-off a 50 mph motorcycle accident. Further than that, the story looks at the morality and ethics of one Ethan Hunt, a subject that doesn’t get explored too often. Bottom line, Fallout is well worth the price of admission, it’s the M:I franchise absolutely distilled to its most pure, aggressively confident, and…can I say nimble? There’s nary a wasted moment as the film barrels along, much like the train in the first installment that Tom Cruise convincingly dove onto, without actually having to dive onto a train (RED LIGHT! GREEN LIGHT!). See Tom? That was 22 years ago and it was perfectly convincing. Let the special effects do the work, ya frickin’ vampire.